Well it’s been a while since I posted so I intend to catch you up quick! 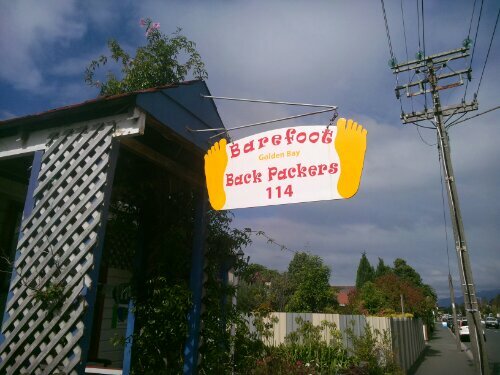 I spent two weeks in Takaka, Golden Bay working for accommodation at Barefoot Backpackers, a cute, cozy hostel in town. I spent most of my time experimenting with raw foods, each day buying the freshest fruits and veggies I could find from the local organic store. I also played quite a bit of guitar as the hostel had a couple I could strum on. Sometimes travellers passing through would give me some pointers and we’d play together. I enjoyed the company of Joneau, Henrietta, and Sarah, who ran the hostel. After leaving Takaka I spent a couple of days in Nelson enjoying the Paradiso Hostel’s pool and sauna before heading to the North Island. On the ferry I came across Moritz and Sophia, the young German couple I met at Last Light Lodge. We arrived in Wellington, where I spent another few days exploring the city and guitar shopping! I bit the bullet and walked away with a modestly priced steel string acoustic with which I am quite happy! From Wellington it was off to Raglan, a small surf town on the North Island’s west coast. 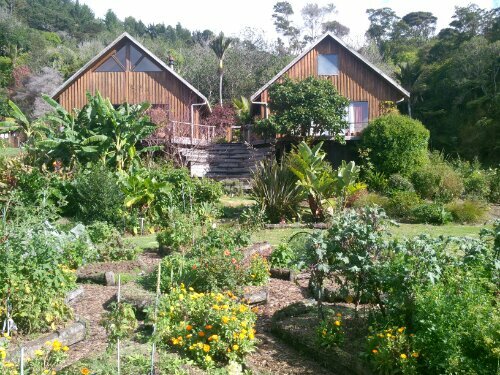 I spent a week at Raglan Backpackers (Colleen worked there years back!) also enjoying the hot tub and infrared sauna! 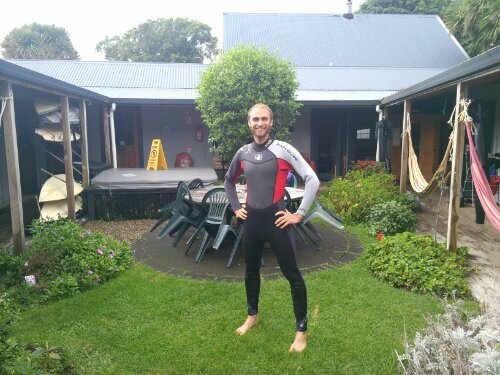 I went surfing a few times and although it rained most days I had lots of fun. The work here is demanding, but it is a beautiful supportive place where I am encouraged to embrace what is. This is a difficult but richly rewarding practice for me. To give up the idea of being unwell. To know and feel that I am OK.
On being ‘OK.’ Is there anything more important to discover? I’m so happy you can feel it. Sending my love, Benji.